Jennifer is a solicitor in our Private Client team. She specialises in Wills, Estate Administration, Equity Release, Lasting Powers of Attorney and Court of Protection work. Jennifer studied law at the University of East Anglia and graduated in 2010 with 2:1 qualifying law degree (LLB). Following this she obtained a distinction in her post graduate studies at the Oxford Institute of Legal Practice in 2011. 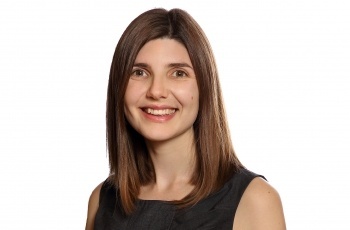 After gaining experience at a large international law firm in London, Jennifer completed her practical legal training at a smaller legal practice in Surrey, qualifying as a solicitor in September 2015. Jennifer was delighted to return to Norwich upon qualification and join the Private Client team at Clapham & Collinge. She now has 3 years post qualification experience in this area. In her spare time, Jennifer enjoys spending time with friends and family, reading, running and dog walking. The Legal 500 United Kingdom 2017's guide to outstanding lawyers nationwide recommends Jennifer for her practice area Personal tax, trusts and probate. We would like to thank Jenny Nash for her friendly and helpful professionalism in guiding us through our rather complicated Wills. We very much appreciate all the help she has given us. Jenny Nash has been extremely helpful and patient in answering all of our many questions about our Wills in a very professional and friendly way.